The Conference is at the Prysbila Center. Parking available at the McMahon Parking lot. Driving directions: Enter the CUA campus from Michigan Avenue at the Basilica. Drive alongside the Basilica to the McMahon Parking lot. Metro directions: Take the Red Line to the Brookland-CUA stop; exit to the left when leaving the station. Walk up the hill between Pangborn and Nursing-Biology past the Center for Architectural Studies. Turn right and walk alongside the architecture building to the Pryzbyla Center. 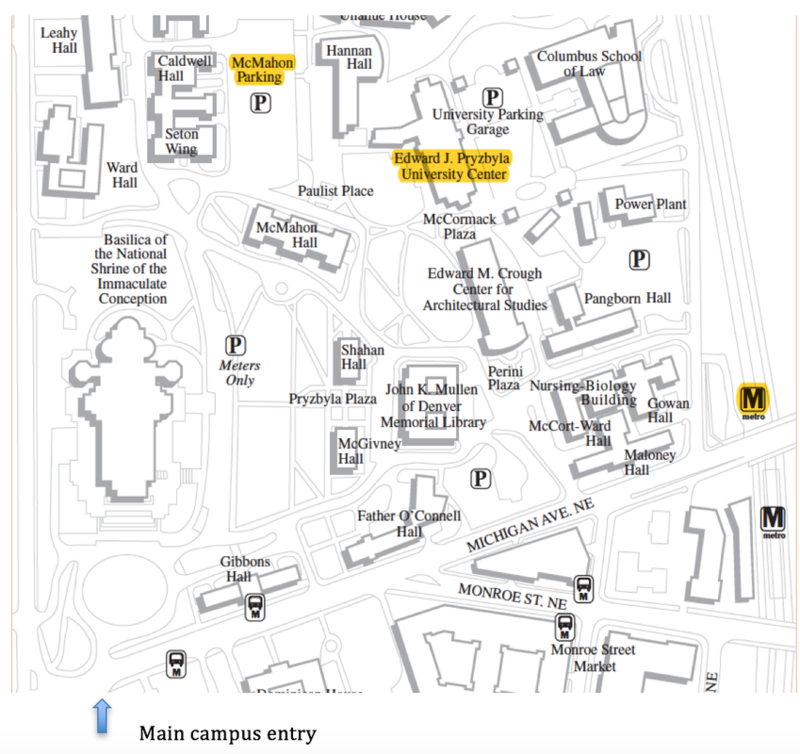 ​Exhibitor directions: Take Michigan Avenue past the campus and turn left on John McCormack Road (the metro will be on your right). Drive down past the Power Plant and turn left after you pass the Columbus School of Law onto the campus drive. You may unload your boxes at the lower level entrance to the Pryz where there is an elevator. Visit CUA website for more directions.